Each event above is a MILITARY DRILL & CEREMONY competition. Events are held indoors within civic arenas or even expansive hotel ballrooms. Large 55K to 150K unobstructed floor space venues and sufficient hotel availability for listed attendees are required. Raised seating is a plus. Strongest consideration is given to venues within a 300-mile radius of large concentrations of JROTC programs and within a 50-minute drive of an active military base that represents the service of the event being hosted. Cost sharing and other expense reductions are highly sought after to make cities partners in the risk and then the future success of the event. This event is held outdoors at a football complex with 3-4 fields minimum. Strongest consideration is given to facilities with a solid youth program that may wish to partner with SNI and use the event as a fundraiser for their program. Cost sharing and other expense reductions are highly sought after to make any city seeking this event (or those who may wish to start-up a new Midwest event) to partner in the risk and then the future success of the event. Each event began with roughly 13 schools/300 attendees. Events are filled and seeking to start satellite western event(s). Event Needs: RAIDER: Site needs a "woodsy," state/county park. National guard/military base or boy scout camp. On-site camping is essential. FITNESS: Beach/Lake or other known venue with cache. BOTH EVENTS: Proximity to a military base/national guard facility is a plus. Strongest consideration is given to venues within a 300 mile radius of large JROTC populations. CVBs, cities and/or hotels should seek to partner with SNI to grow something from scratch – contact for additional details. SNI is an Event Management company with over 45 years of experience working with large & small events that have run the gamut from simple to vastly complex. We host events for the United States military as well as our own proprietary event. We are open to partner or manage events, as well as relocate existing events and expand others. Let's discuss ways in which Sports Network International can work with your entity. 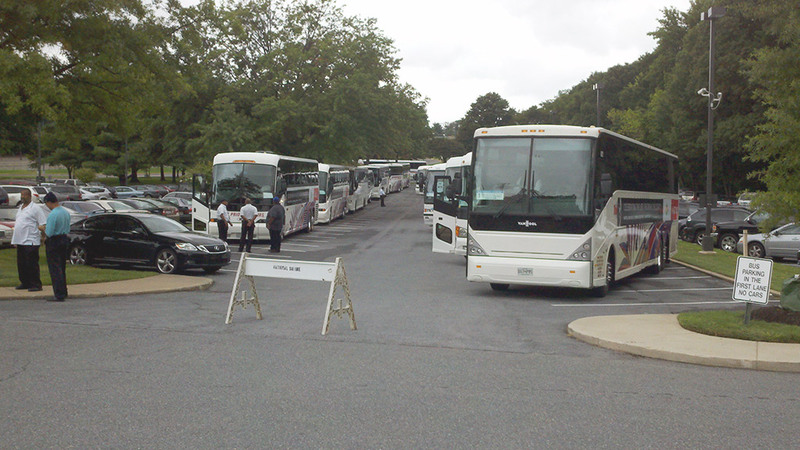 Callaway Transportation is one of the most respected transportation management services in the United States. We offer professional planning and attention to detail for everything from local event coordination, individualized VIP service, high‑security government transport, and large event transportation across the U.S. and Canada. The unique Callaway approach to your travel service needs includes carefully maintained, high-end vehicles built for pampering comfort, best‑in‑Class professional service, and attention to every imaginable detail. A Callaway experience will always exceed the expectations of your clients, guests or employees.